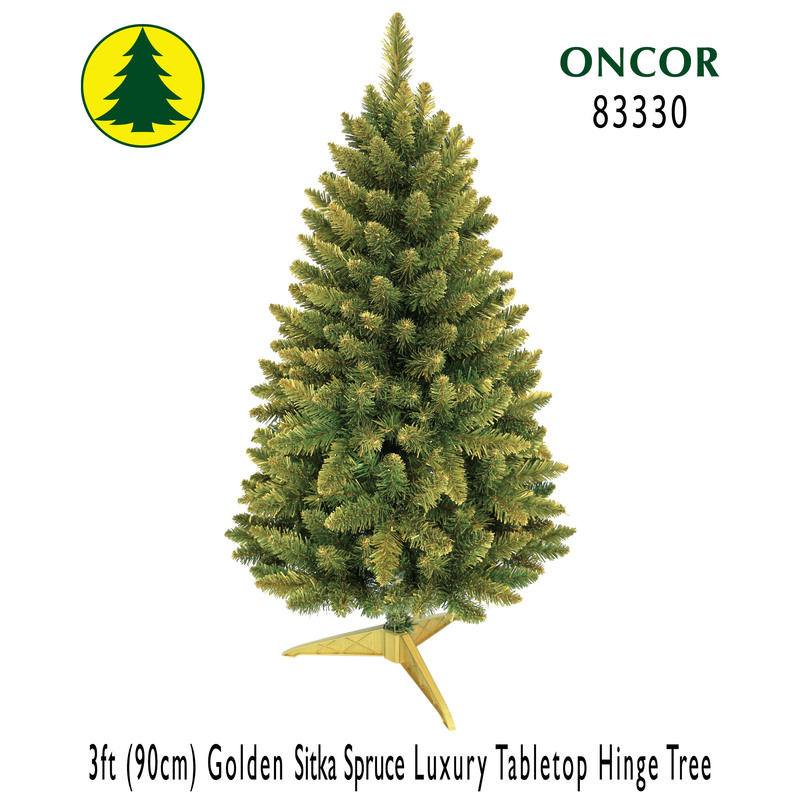 We use the best quality raw materials and tree parts to give all Oncor Luxury Version trees a minimum 50-year product life in order to make 50 or more joyful Christmases eco-friendly. 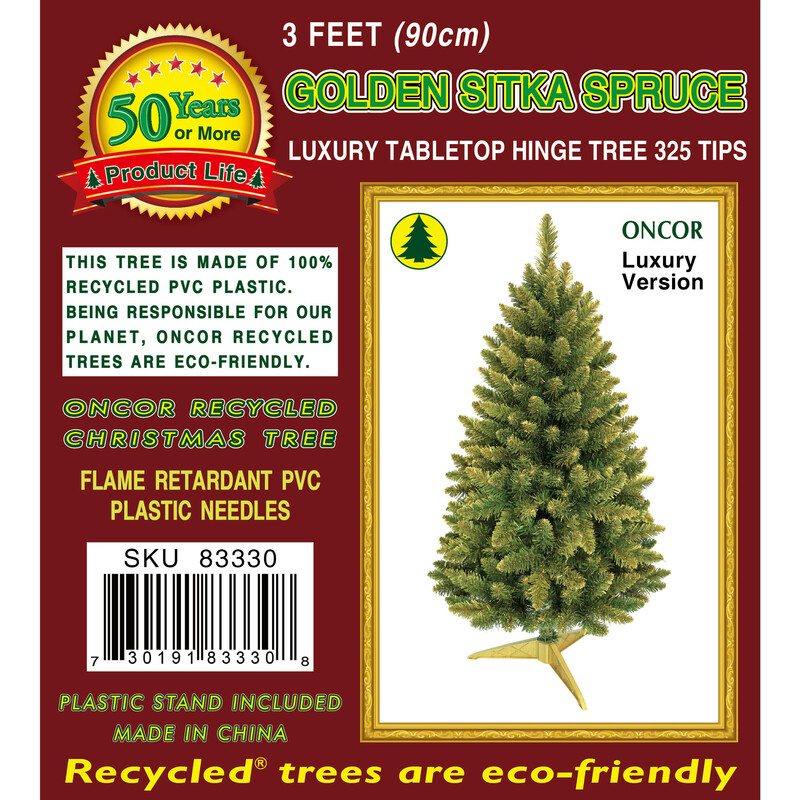 We are the only Christmas tree manufacturer using super glue instead of white glue on every tree branch to prevent pine tips from falling off within 50 years. 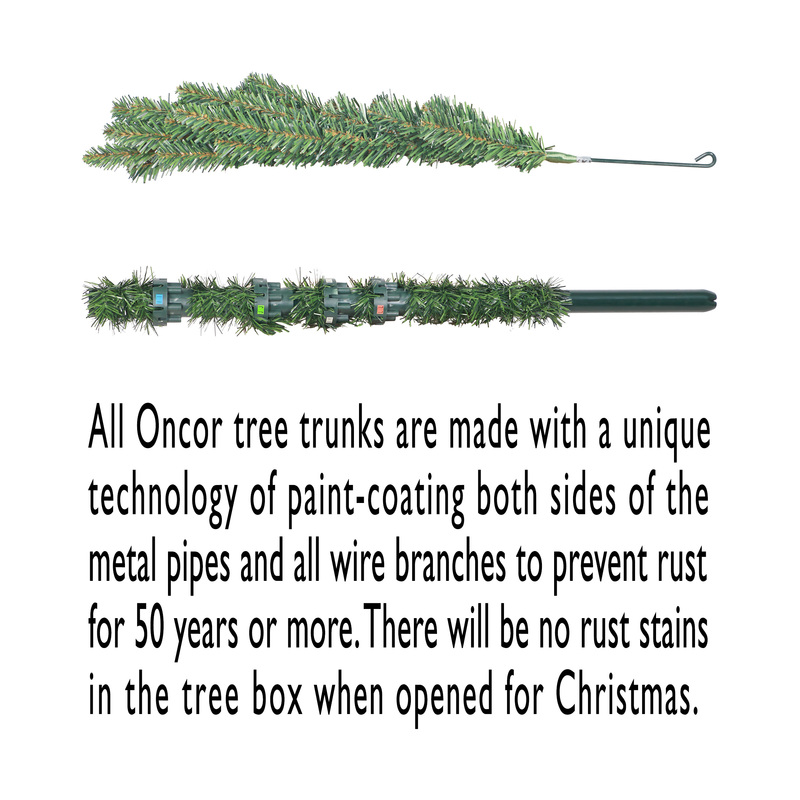 All Oncor tree trunks are made with a unique technology of paint-coating both sides of the metal pipes and all wire branches to prevent rust for at least 50 years. 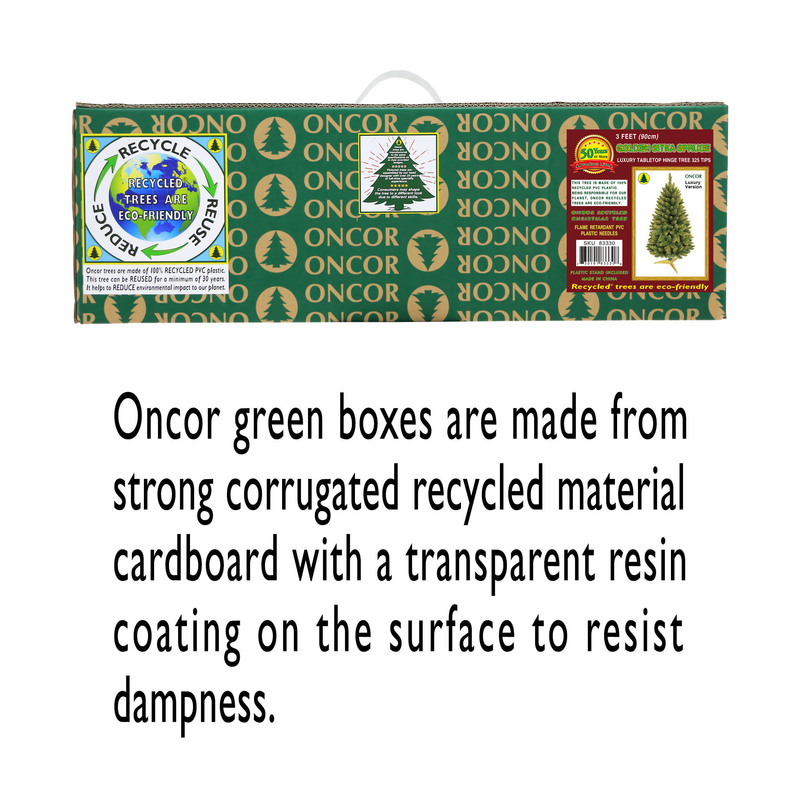 Established in 1980, Oncor is one of the world's oldest Christmas tree manufacturers. 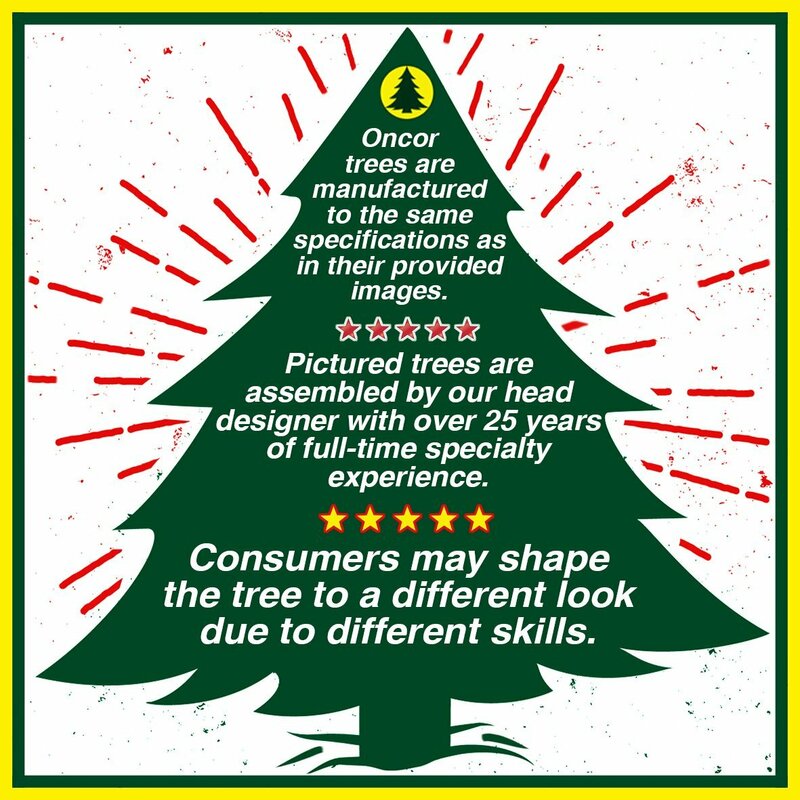 Our trees have an industry-leading product life of 50 or more years.